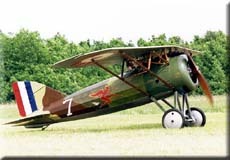 By the autumn of 1915 the Morane-Saulnier Type N single-seater monoplane had been rendered obsolete by the appearance of the Nieuport 11 "Bébé". 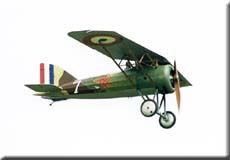 Subsequent developments of the N were all inferior to the Nieuport, so that the bulk of the Morane-Saulnier aircrafts built during 1916 were reconnaissance types. 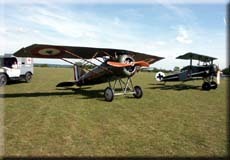 These included the twin engined T and two models which served with both French and British units, the single-bay BB biplane and the P parasol monoplane. 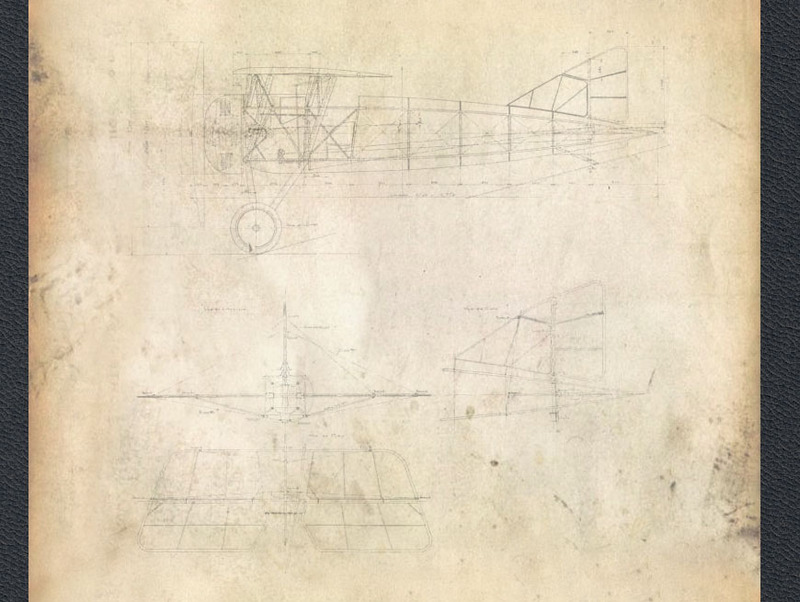 Two new single-seaters were brought out in 1917; the AF biplane and its parasol monoplane equivalent, the AI. 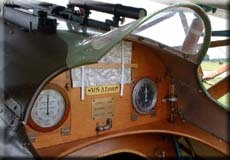 The AF was powered by the 120 h.p. 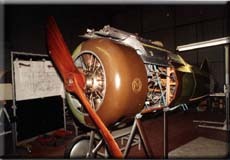 Le Rhône 9J rotary engine, and had staggered wings without dihedral and N-shaped interplane struts. The fuselage was round in section, tapering to a point at the tail, and the triangular fin and rudder were typically Morane. Little is known about the AF, which was evidently not a success. The AI, on the other hand, went into production, the first examples being delivered late in 1917. It had either the 120 h.p. Le Rhône or the 160 h.p. 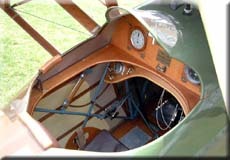 Gnôme Monosoupape 9N rotary engine, mounted in a circular open-fronted cowling, the lower half of which was fretted with seven ventilation holes. The parasol wing was swept back and carried horn-balanced ailerons; the wing-tips were raked and there was a large semicircular cut-out in the trailing-edge of the centre section. 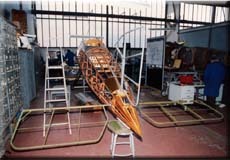 Spars and ribs were of wood, wire-braced and covered with fabric. 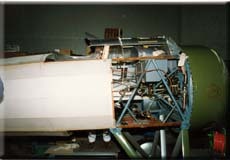 An astonishing complexity of struts connected the wing to the fuselage. Owing to the sweep back of the wing, the main struts sloped slightly backwards in side elevation. 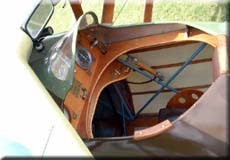 The fuselage, of circular section tapering to a point at the rear, was built up of wooden formers and stringers, covered with fabric except for the panelled portion between cowling and cockpit. Braced from below by struts, the tail-plane was small in area, but carried fairly large elevators; the fin and balanced rudder were triangular in shape. As on most Morane-Saulniers, the undercarriage was additionally braced by a vee strut to the centre point of the spreader bar. Either one or two synchronised Vickers guns were fixed to fire forwards through the airscrew arc. 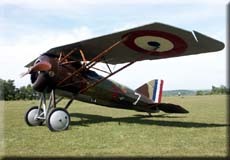 One unit, Escadrille 156, was equipped with AIs in January 1918. Some structural trouble was experienced initially, but many pilots liked the type's handling qualities. Other units are believed to have had one or two AIs on their strength for evaluation. In March 1918 the type was withdrawn from the front, and thereafter served as an advanced trainer. Twelve hundred AIs were built, fifty-one of them being purchased by the American Expeditionary Force for use as pursuit trainers. The version with one gun was designated the M.S.27 C-1, that with two guns, the M.S.29 C-1, and the training model the M.S.30 E-1. After the war many continued in service: a number of these being re-equipped with 130 hp Clerget rotaries. One machine. piloted by Fronval and Joyce, was looped 1 111 consecutive times! This Morane AI, #1567, has no known history. 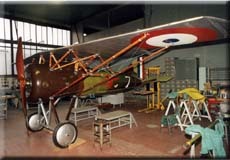 The restoration started in 1991 and the first flight took place in August 1993. Brought back to its original standards, the aircraft is presented in the marking of the Escadrille MS 160 "Red Devils". Created on Jan 25 1918 with Lt Barès as C.O by splitting Escadrille 96. 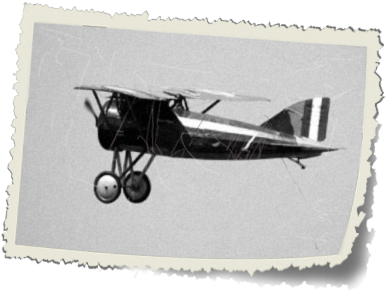 The initial equipement was Nieuports, thus the name N 160. The unit was assigned to 11th Army and took residence at Brabant le Roi (Meuse) until August 1918. In the meantime it had been re-equipped with Morane-Saulnier type AI and changed its name for MS 160. Spad VIIs and Spad XIIIs came later on with another name, SPA 160. The unit was never involved in the major defensive battles on the Western Front between March and July 1918. It remained assigned to the Verdun area on artillery spotting duties and was frequently in action against German aeroplanes. SPA 160 left the Meuse area on Aug 27 1918, assigned to the 6th Army under the leadership of Lt Sénard. It took part in numerous sorties on the Vesle front and became part of combat group no 23 along with Escadrille Nos 82, 158 and 161. When the 6th Army moved to Flanders, combat group 23 went along and took part in the attacks on Lys and Escaut rivers and was credited with 3 aerial victories. The units disbanded in March 1919 and revived on May 1st 1939 as groupe de chasse 11/4 (fighter group). 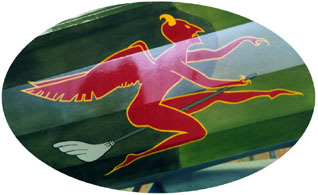 The unit emblem was a red devil riding a broom. From 35s to the end, you can hear the Se5 warming up.